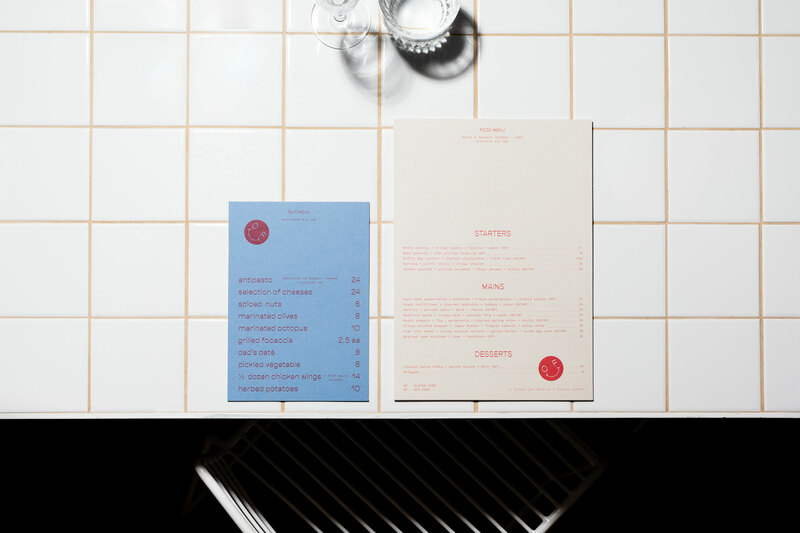 Old Friend is a casual bar and eatery in Adelaide . True to its name, it’s the perfect place to meet for any occasion, coffee, lunch or cocktails. From the outset we wanted the brand to feel equally familiar and comforting, like a secret handshake with your best friend. A cheeky brand mark, nostalgic colour palette and speckled pattern sit playfully across print collateral, held together with a structured type-set. 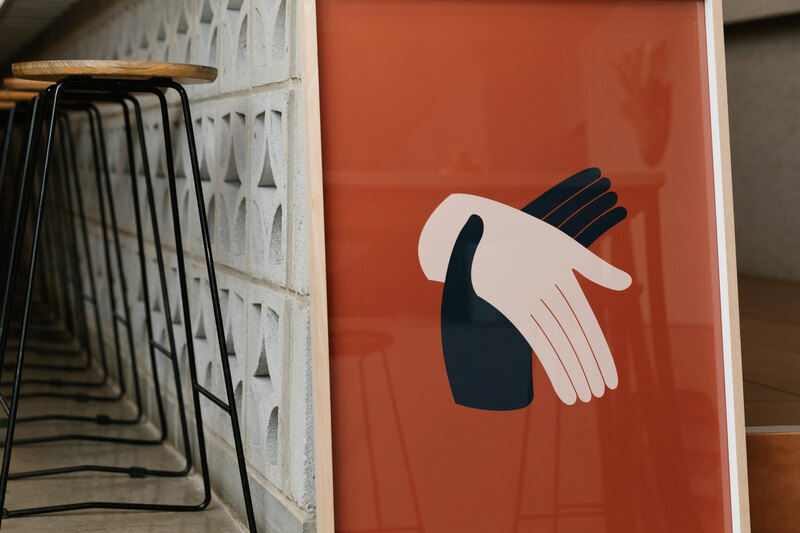 Delving deeper into our original idea we created a set of nonsensical handshakes that grace the walls of the large open dining area.